THE MAYA CODEX opens in Vienna in 1937. With Hitler about to take control of his native Austria, Jewish University Professor Levi Weizman reluctantly agrees to accompany a Nazi expedition to the Guatemalan jungle. The Nazis are looking for proof of the superiority of their Aryan heritage, while Weizman is looking for a document believed to have been written by the Mayans many centuries ago. When he is warned not to trust the Nazi leader of the expedition Weizman makes his own way back to Austria to collect his family and try to escape the Nazis. This is a plot-driven thriller that follows a broadly predictable story arc about the search for a mysterious object from an ancient culture. If that’s all there was I imagine I wouldn’t have bothered to finish it, however there is enough research, detail and interesting sidetracks to make it a thoroughly enjoyable romp of a tale. It doesn’t hurt that there is an overall theme looking at the corrupting influence of knowledge and power on a collection of unlikable individuals. And perhaps I was reading a little too much into the story, showing my own prejudices if you like, but the linking by association of the atrocities committed by the Nazis and those by regimes in more recent times makes for sobering thought. d’Hage, who was a Brigadier in the Australian Army until 2000 and is in the process of completing a PhD in American foreign policy, has enough real-world knowledge of modern geopolitics to make the more far-fetched and unsavoury elements of the novel plausible enough to be scary rather than laughable. As is fairly standard for a thriller the characters here are not particularly engaging, with most of them being ultra evil or a little too good to be true. The good guys are likable enough, though the bad guys are a bit too stereotypical for me (even as a rather angrily lapsed Catholic I am bored with the depiction of priests as either saints or paedophiles and nothing much in between). For the most part though the characters are just more set pieces in moving along the complex, fast plot. 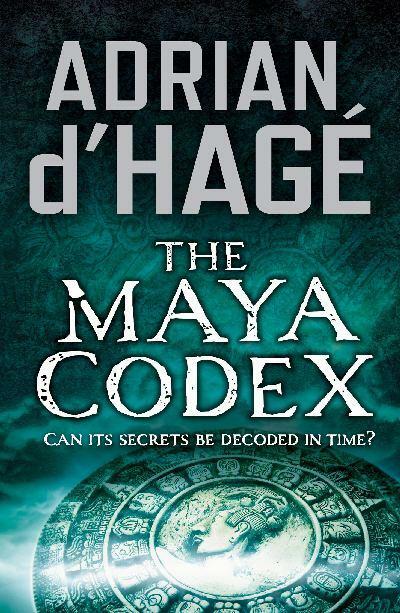 Overall THE MAYA CODEX is an intelligent thriller that presents a plausible (if far-fetched) doomsday scenario that incorporates a rather chilling amount of credible details about our recent and not-so recent history. If high-speed romps are your thing I can recommend this one.